Avian influenza is a virus that affects bird populations. There are many different strains of avian influenza that cause varying degrees of illness in birds. The most common types of avian influenza are routinely detected in wild birds and cause little concern. The primary difference between Low Pathogenic Avian Influenza (LPAI) and Highly Pathogenic Influenza (HPAI) is mortality rate in domesticated poultry. A slight change to the viral structure can make a virus deadly for birds. Avian influenza virus strains often occur naturally in wild migratory birds without causing illness in those birds. With LPAI, domesticated chickens and turkeys may show little or no signs of illness. However, HPAI is often fatal for domesticated poultry. While LPAI is different from HPAI, control measures are still recommended as a precautionary measure. Reporting Sick or Dead Farm Birds: . The goal of the GDA rapid response team efforts is to stop the spread of Avian Influenza and eliminate the virus in order to minimize the economic impact for producers, quickly relieve the pain and suffering of sick birds and get the farm and community back to normal operations as quickly as possible. In order to do this, Surveillance Zones will be put into place around infected premises to minimize livestock related movement and, therefore, minimize the spread of Avian Influenza. 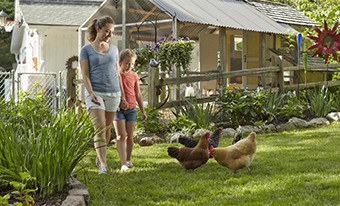 Are You a Backyard Poultry Owner? 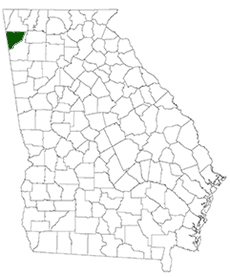 The best way to protect Georgia's poultry is by working together.